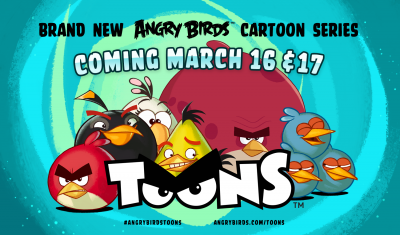 "Angry Birds Toons is an all-new animated series that throws the doors to Piggy Island wide open! For the first time ever, you can get up close and personal with your favorite characters. Join us every week starting the weekend of March 16th for a brand new episode featuring the latest adventures of the birds and pigs!" Angry Birds game became most popular game its already downloaded more than 1 Billion times and 1 Billion views on Youtube Channel. Stay with Angry birds Toon website for coming updates.